DesignCell is pleased to exhibit at the 2019 AAHOA (Asian American Hotel Owners Association) Convention & Tradeshow. Scott Brown and Kastytis Čechavičius, Principals of DesignCell Architecture, and Ashley Kartchner, Business Development, will be attending the conference April 24-27 at the San Diego Convention Center in California. 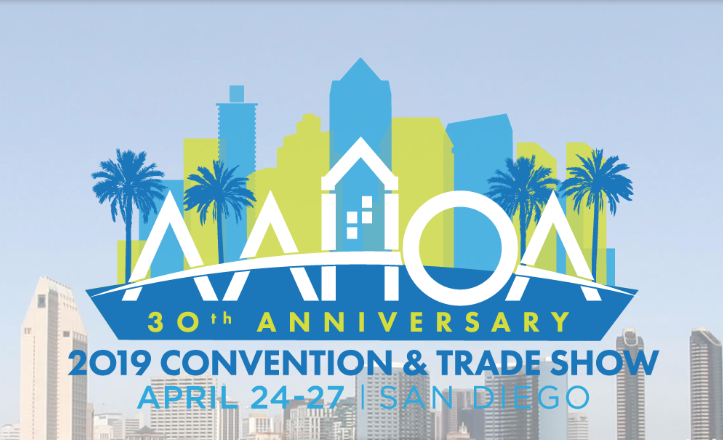 The AAHOA conference is the largest gathering of hotel owners in the country, with approximately 7,000 attendees expected this year. The agenda includes sessions on data, the extended stay boom, ADA compliance, dispute prevention, marketing and other pertinent topics as well as certification courses for the CHIA (Certification in Hotel Industry Analytics) and CHO (Certified Hotel Owner) programs. DesignCell will be exhibiting this year and we hope you will stop by and visit our booth if you are attending. Our booth, #2913, is located on the corner across from the entrances off of Lobby D near the registration area. The exhibit floor is open from 11 a.m. – 5 p.m. on Thursday and Friday. Kastytis and Ashley will also be attending the Gala and Closing Session on Saturday evening. We look forward to meeting you at this amazing event! Founded in 1989, AAHOA is the largest hotel owners association in the world, with more than 18,500 small business owner-members who own nearly one in every two hotels in the United States. To learn more, visit the AAHOA Convention & Tradeshow website.